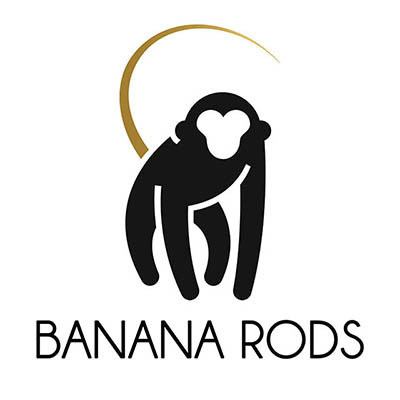 We are delighted to have added the brilliant and unforgettably named BANANA RODS to our list of supporting fly fishing forum trade members recently. 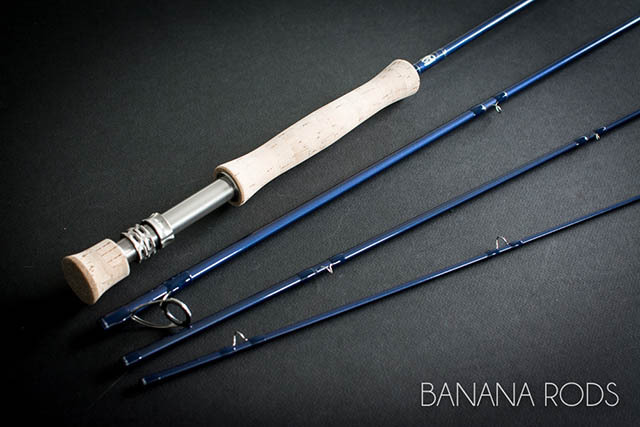 If you are looking for something a bit different to an 'off the peg' fly rod, and tailored to your wishes, then BANANA RODS could well be the answer you are looking for. 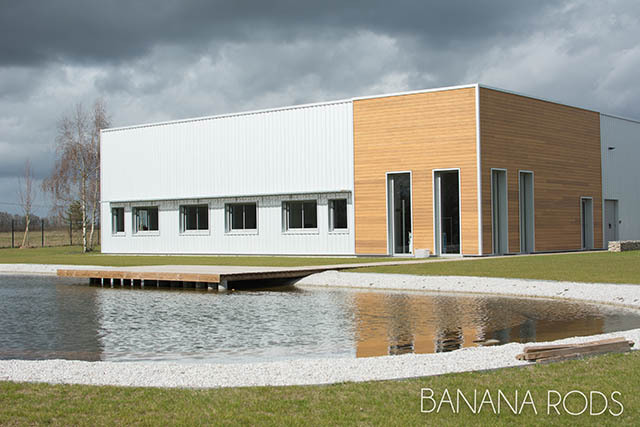 Offering a unique concept in personalised rod building from their base in France, we asked them to tell us a little bit more about themselves and what they offer you as an individual fly angler. It's not just tailored trout, Spey and saltwater fly rods they make by the way, but predator and carp rods too! We chose “Banana” because it is easy to say it in any language around the world. Our monkey logo then was an obvious choice because it follows the theme and is very recognisable and memorable. From dreaming and visualising your fishing experience, planning each moment of your getaway and discovering extraordinary locations. The pleasure of fishing begins with imagining your next trip. 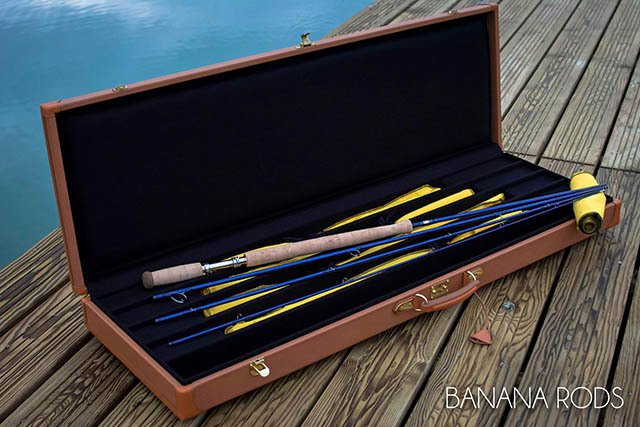 To give life to your dreams and to make your passion an unforgettable experience, BANANA RODS will do what it takes… We will create the ideal fishing rod for you! We design our products to meet two key requirements: quality and performance. You can therefore be sure that you have the best rod on the market, a luxury item created just for you. A rod perfectly crafted to suit your needs, your desires and your fishing habits. A unique item. Tell us about yourself, your desires and fishing habits. This will help us guide you towards the ideal model of rod for you, after which we will invite you to test your future Banana Rod in actual fishing conditions. Each type of fishing needs a specific, unique rod. Once you have chosen your model, you will be involved in its crafting – you will choose its look, colour and finish depending on your tastes. 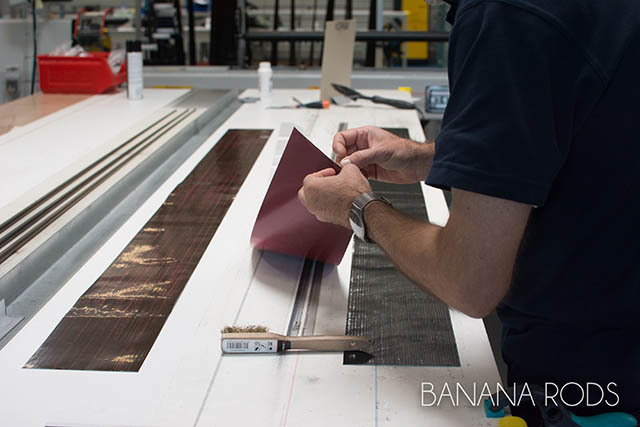 Our experienced technicians at BANANA RODS produce each rod in accordance with strict manufacturing protocols, unique in the world of fishing rods. A veritable work of art, created to fit your image, because every angler is unique! To our recognised traditional expertise, we add cutting-edge technologies and exclusive composite materials from our partner research laboratories. The combination of these complex techniques requires a rigorous methodology and extreme precision, worthy of the clock-making industry. Keeping our promise of quality is our principal commitment, along with offering a product that is consistent from the design stage to manufacture. This is why we apply strict controls to the production chain, from A to Z. 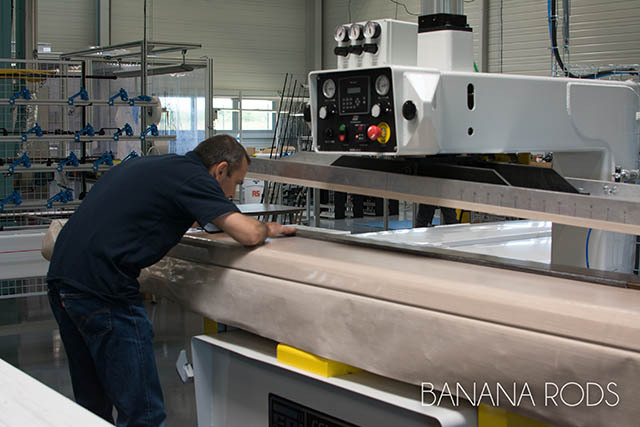 Our products, entirely developed and manufactured in France, are the result of BANANA RODS’ own specifications, our exclusive knowledge and expertise, and our ongoing attention to detail. DO YOU HAVE A QUESTION? DO YOU NEED ADVICE? SHOWROOM : TRY OUT OUR RODS ! You’re welcome to come and try out our rods and choose the finish you like, just make an appointment. No drift boat fisherman in his right mind will allow a banana on his boat; so this name might be unfortunate here in the USA. Is there a market for this in Europe? In the US, this seems to be an undifferentiated offering in a saturated market that costs more than existing top tier offerings. Looks like a great set up. Good luck! I think like in any market zjory there is always an element that enjoy being able to personalise their equipment to an extent if they can afford to do it. It has parallels to some degree with Abel reels for example with their beautiful customised paint jobs, i.e. you pay for the extra service involved in making a more unique product. Also I am thinking of my days in San Diego where getting highly customised rod wraps was quite a popular thing to do, probably as that was not overly expensive but many of them were works of art in their own right too and stood the owners fishing rods apart from the rest. I can easily see fly (lure and carp) anglers who happily pay thousands to travel the world after their favourite species going the extra mile and being interested in this type of product. Can we all afford it - of course not sadly, but as you say there are a lot of top tier offerings already in the rod market, the difference here is the personalisation options and they seem to offer some unique technology they say. If they have hopes of penetration in the North American fly fishing market, they will need to participate in the Fly Fishing Shows here to reveal the performance characteristics of their rods. As we've established in the Aesthetics thread, while fine finish craftsmanship is appreciated even yearned for, angling performance is the first priority. They aren’t aware bananas are considered bad luck? It happens, my most memorable permit I caught while wearing a yellow shirt. However, I've retired it from fishing and, out of respect for boating guides, neither wear yellow or bring a banana on a boat. If this interesting new company was to build me a flats fishing rod, the customization I might request would be for them to delete their name and logo from it. I'm not a superstitious person at all...but my boat Captain might be. Mystic Rods introducing new rods. By John Kumiski in forum Southeast U.S.